Dorfstrasse 5, 3715 Adelboden, Switzerland. The Hotel Beau-Site is an exclusive establishment located in one of the most beautiful spots in the Swiss Alps. Nature lovers, green landscapes and winter sports have this boutique hotel, located in a building with traditional and friendly atmosphere. The Hotel Beau-Site, located in Adelboden, has 38 rooms, carefully decorated, and where the warm alpine wood is the great protagonist. Since the facilities of this hotel, located at 1350 meters above sea level, will enjoy a privileged views on a typical Alpine valley. Among other services, the establishment has two delicious restaurants, gardens and a relaxing lounge. 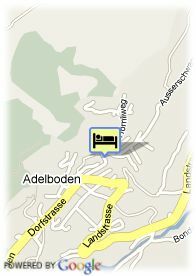 After an intense day in the Alps, the hotel awaits a complete relaxation area, with sauna, Turkish baths or fitness room. Located at 1 km. 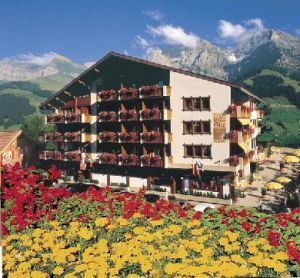 from the ski slopes Adelboden, the Beau-Site is a charming option to enjoying the Swiss Alps with all the intensity. Betalende overdekte parking aan het hotel (6.62 €). Voor oudere kinderen en volwassenen wordt 29.77 € per extra bed aangerekend.